After an exhausting 10-hour shift, he comes home to get his bike and rides at least 40 miles each day. It's the same rigorous routine for the past three months to prepare for his journey. June 9th is his target along with 500 other riders as they are focused on the RIDE to End Alzheimer’s. Lee along with Lee the family and friends that support him hopes through his efforts a cure can be found for Alzheimer's. Like many who participate, they have been touched in their lives through a loved one who have experienced this debilitating disease. Sometimes referred to as “Old Timer’s Disease,” Alzheimer’s Disease (AD) is the 6th leading cause of death in the U.S. It is also the only top-ten killer that is so little understood. Doctors and researchers are stymied on how to prevent, slow the advance of, or cure Alzheimer’s. Currently, more than 5 million Americans have Alzheimer's Disease and that number is expected to grow to as many as 16 million by 2050. As anyone who has seen a loved one slowly lose their memories and ability for self-care can testify, the loss is heartbreaking. People with AD can lose the ability to recognize their own families and/or caregivers and can experience profound and disturbing behavioral changes. 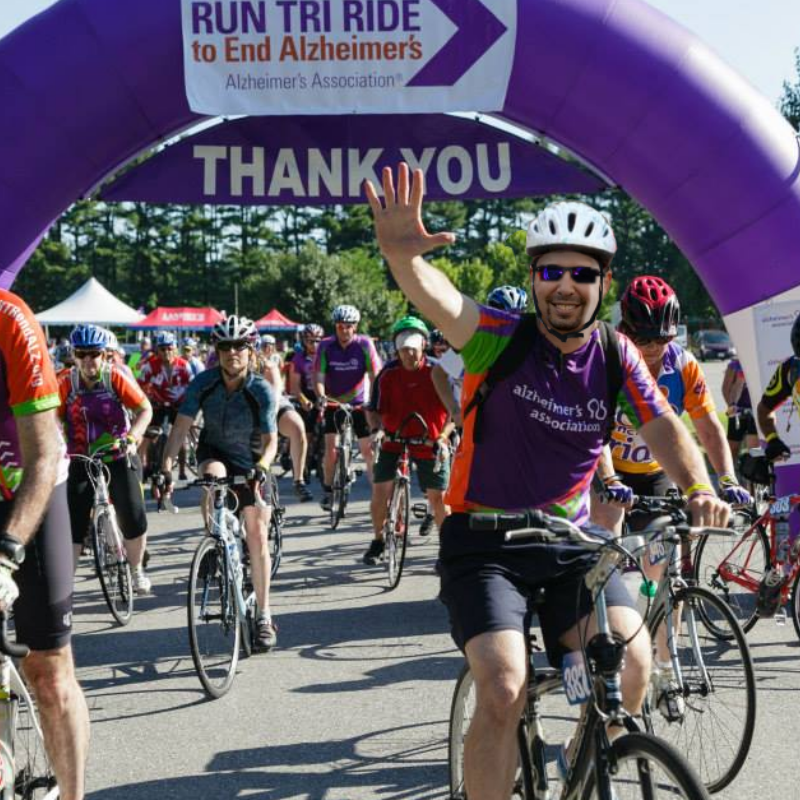 A screenshot from the PBS’s documentary, “The Forgetting"
As part of outreach and advocacy efforts for AD, the Noonan family partnered with The Alzheimer’s Association on a yearly fundraiser: a bike ride where individuals and families participate to raise funds for AD research. To date, “The RIDE to End Alzheimer’s” has raised over $5,000,000.00. Ninety-percent goes directly to research grants, and 10% stays right within the community near where the event takes place: Ordiorne State Park in Rye, NH. This year the ride in on June 9. 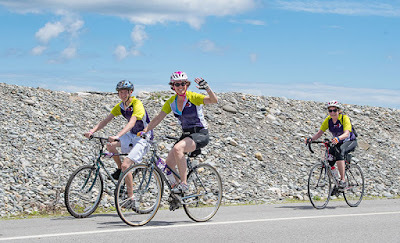 Lee Johnson, of Norwood, MA has participated in the ride for the past 7 years. Lee watched his great-grandmother suffer with Alzheimer’s and knows there is a chance he too could develop the disease as he ages. 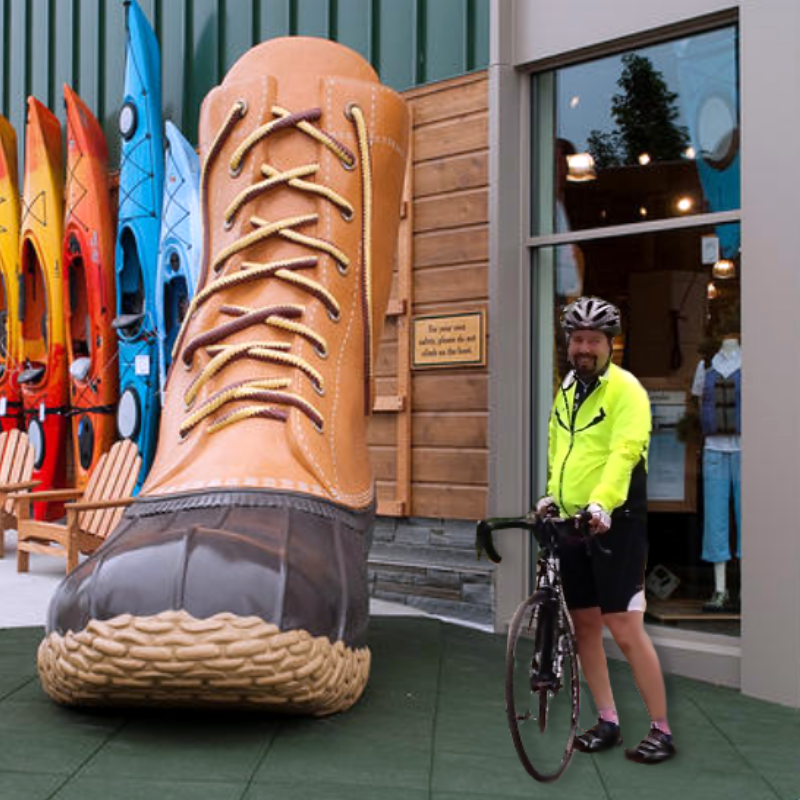 Since he loves to bike, raising money and awareness through the local RIDE event just made sense to him. 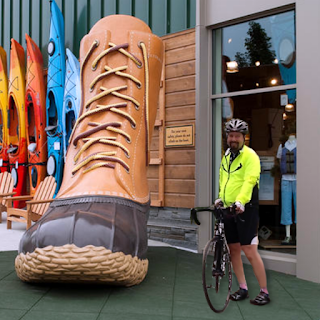 Each year he commits to ride 100 miles. 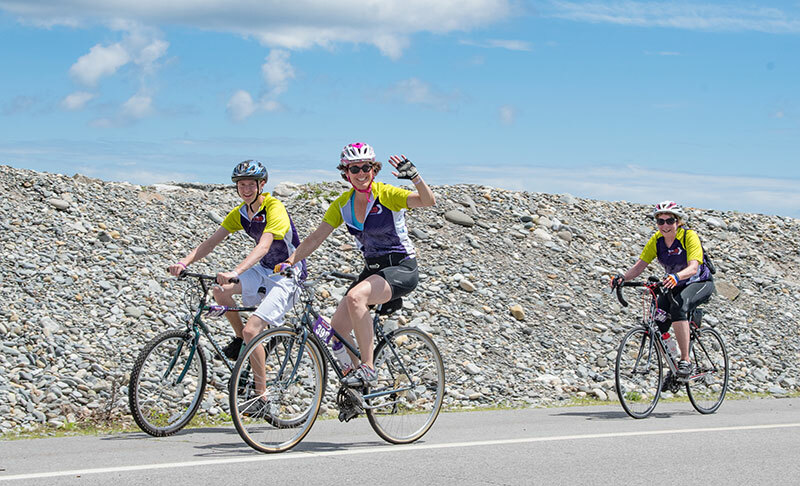 The minimum amount required to raise as a participant in the 100 mile ride is $750. Lee gets support and funding from friends and family in his community. You can feel free to donate here: bit.ly/LEE4ALZ2018. Three months prior to the RIDE, Lee begins his yearly training. Daily rides after he gets off work at L.L. 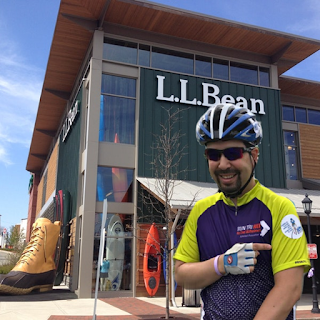 Bean help him get in shape as he builds up his endurance. Even though there are days that he is tired or the weather is bad and he doesn’t feel like riding, Johnson always gets out there to train. “It’s mental…some days you don’t feel like it, but if you don’t do it, you won’t succeed,” Johnson said. 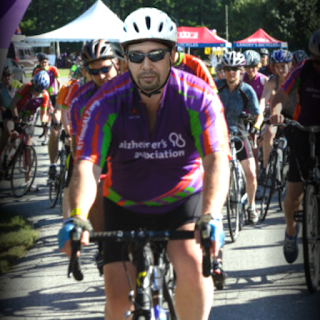 Riders participating in the RIDE to End Alzheimer's (courtesy of Alzheimer's Association). Lee's parents, knowing the possibility that he could develop Alzheimer’s, are very supportive of his fundraising efforts. His sister and her husband always donate to the ride, often donating an amount just under the required minimal goal so that Johnson will remain inspired to get more funding from other people and spread awareness. Humble and shy of the spotlight, Johnson assures people he does this not for himself, but because he enjoys riding and wants to support the cause. Johnson says, "it is common for participants to pin the names of loved ones affected by AD to their jerseys and that he finds renewed encouragement when he sees that, as it reminds him of his great-grandmother and the importance of ongoing research for treatment and cure." Lee posing with his bike outside of the L.L. Bean Legacy Place location. NTI (NTICentral.org), an organization that helps individuals with disabilities back into the workforce has sponsored Lee for the last 3 years. When asked why NTI sponsors Lee, Michael Sanders, the Director of Marketing at NTI stated, "It makes sense. 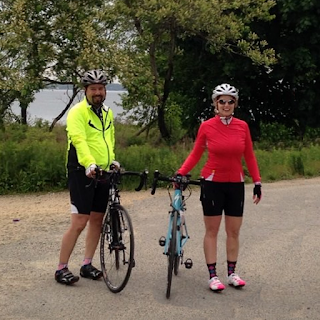 Lee has genuinely embraced helping those with Alzheimer's through his ability and love of cycling. As an organization focused on helping individuals with disabilities, we are proud to sponsor and promote this type of pro-social behavior. We would love to see this passion in everyone." Johnson’s coworkers at L.L. Bean know that he participates in the RIDE, and they are very supportive of him. While Johnson is doing the RIDE on his own, the company supports his efforts and admires his dedication and perseverance. Store Manager Shawn McMullen says "L.L. Bean maintains core values of respect and perseverance, qualities she sees in Johnson." Shawn went on to say, "The company strives to allow their employees to find a positive work/life balance and to give their all to not only their customers, but also to their communities." In this, Johnson is an exemplary employee. McMullen describes Johnson as a “cool cucumber who never gets rattled" and she knows Johnson will succeed in his ride. She promises that Johnson’s coworkers will rally around him and his efforts to support a cure. “Lee is dedicated and perseveres. He will achieve his goal and his team at L.L. Bean will support him.” If you would like to support Lee and his Ride to End Alzheimer’s, visit bit.ly/LEE4ALZ2018 to show encouragement as well as contribute to Lee's fundraising efforts. People around the world will be recognizing the Seventh Annual Global Accessibility Awareness Day (GAAD) on May 17th. (It generally takes place on the third Thursday in May). Too often, people with disabilities encounter significant barriers when trying to gain information through digital channels. For instance, something as simple as navigating a Webpage menu using a mouse may be impossible for those with limited use of their hands. This day is dedicated to encouraging people to think and talk about accessibility and inclusion, especially as they pertain to technology. The occasion was inspired by a blog post penned in 2011 by computer programmer Joe Devon. In the piece, he discusses the importance of Web accessibility for different populations, such as older people or those with visual impairments who rely on a screenreader to decipher online content. He encourages Web developers to create sites with closed-captioning and related features to make them as user-friendly as possible. He also challenges technology experts to test their innovations to see how accessible they really are. Web designers are often at a loss as to how to make their sites more user-friendly. A few minor adaptations can make a huge difference. Using a larger font size (16-point), providing text descriptions of images, and allowing keyboard navigation are just a few ways to promote ease-of-use. Providing accessible documents in PDF or Microsoft Office formats enables those who use screenreaders or Braille translators to accurately review the material. The Job Accommodation Network provides tips for assessing Webpage accessibility and making any necessary modifications. The federal government's General Service Administration (GSA) recognizes GAAD and has had a tremendous impact on improving electronic accessibility for people of all ages, abilities, and backgrounds. January 2017 saw the passage of the final rule on Section 508of the Rehabilitation Act of 1973. The rule outlines a revised set of standards for electronic and information technology developed, acquired, used, and maintained by federal agencies. 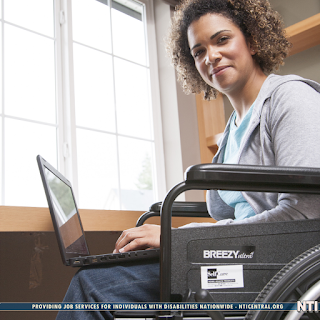 Updates to the Rehabilitation Act ensure that the US government aligns with international accessibility standards. According to Facebook, more than two dozen virtual and in-person events are scheduled to take place on GAAD. The events give people the opportunity to learn more about assistive technology and how Web design can accommodate it. With its emphasis on technology, GAAD offers the flexibility to create events of all types and sizes, making it possible to reach a larger audience. Tim Berners-Lee, who is credited with inventing the World Wide Web, once said, "The power of the Web is in its universality." The goal of GAAD is to make the Web truly universally-accessible. 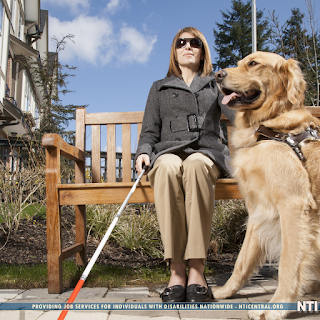 At NTI, we support initiatives and innovations that augment the capabilities of people with disabilities, and we understand how assistive technology can level the playing field. Therefore, to help further employ individuals with disabilities, we have set up a GoFundMe page to raise $25,000 to build an accessibility lab. ALL funds will be used to cover the costs of assistive software such as JAWS, ZoomText, Dragon Speak as well as the computers and hardware accessories that will be needed for testing. Training is also needed in each one of the adaptive software programs tested. We would also like to be able to hire a consultant to help with our assessments. If you would like to help in this elaborate endeavor, visit snip.ly/GlobalAccess. In-kind donations will be appreciated as well.